Are you interested in finding a trustworthy limo service in Farnham or the surrounding regions? 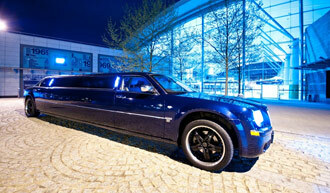 Get in touch with us for the most impressive limo hire Farnham quotes. We are one of the most popular limo services in the region. We cover Farnham and the other surrounding areas. Absolute Style Limousines is a well established limo hire service provider that is dedicated to offering outstanding limo hire Farnham services. We make sure that our customers enjoy highly stress free limo hire services when they approach our company. There is no limo hire requirement that we cannot handle. We offer everything from airport transfers for corporate needs to personal sightseeing limousines. We have limos with various seating capacities. We assure our customers 100% satisfaction. You will certainly like our thoughtful services. We are passionate about what we do and we make certain that every single customer that makes the best use of our limo service gets the best limo hire experience possible. Take advantage of our luxurious range of limousines. All our limousines are very tastefully furnished to give you the most comfortable ride. Our carefully chosen chauffeurs are familiar with the routes and they will reach you safely on time. To make our limo services highly dependable, we service our vehicles regularly. No vehicle leaves our parking lot before it has been thoroughly checked. Book your limousines at Absolute Style Limousines and save yourself from last minute disappointments. Wedding car hire, white London wedding taxis, wedding buses and much much more. All our limos are accompanied by experienced chauffeurs. Every single chauffeur appointed by us has been subjected to very stringent screening and only CRB checked chauffeurs are appointed by the company. We take your safety serious here at Absolute Style Limousines. Book a limo for your child’s birthday party and give them a pleasant surprise. Our limo services are priced very nominally so that limos are no more limited to the stars and celebrities. Here is your chance to indulge on the most important days like your wedding by choosing our limousines. It does not matter why you need a limo, as long as you are in need of a dependable luxury transportation option whether it is for personal need or for corporate need, we can meet your requirements. You need not have to worry about rigid limo packages when you choose our limo hire service because we do not have them here. We understand that no two customers’ limo hire requirements are the same. So we tailor our solutions and services based on the customer’s requirements. Contact us today with your requirements to get your personalised quote. Choose from the exclusive fleet of limousines. Our prestigious fleet of limousines include Stretch Limousines, Stretched Hummer, Stretched Chrysler 300C, Stretched Lincoln Town Car, Super Stretch Excursions and more. Finding the apt vehicle for your special requirements will never be a problem here at Absolute Style Limousines. The most luxurious rides in top class limos are awaiting you. Let our limos make your important days even more memorable. Your most dependable limo service is just a single phone call away.